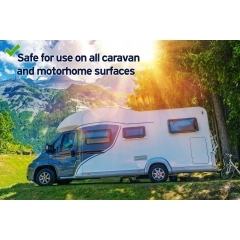 Enjoy your caravan all year round with Pro-Kleen’s no-nonsense, great-value caravan care chemicals. Caravans need regular cleaning and care to prevent the growth of mould and mildew and to generally keep your caravan as a nice place to stay. 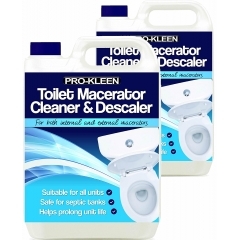 These caravan cleaning essentials will help you keep your caravan tidy for less! 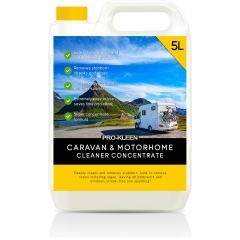 Keep the exterior of your caravan looking clean with our range of fuss-free caravan cleaners. 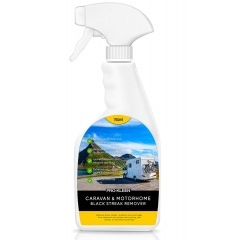 Remove dirt, algae, traffic film, soot, and grime from your caravan’s surfaces with these super-effective cleaning solutions. Our caravan cleaners are available in 5L bottles and trigger sprays for your convenience. Never worry about muddy caravan parks and rainy camping trips again – these affordable but high-quality cleaning supplies will keep your caravan looking its best all year round. 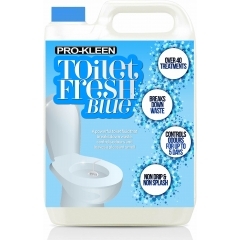 It’s far from the most glamorous job, so when it comes to maintaining your caravan’s toilets you’ll want some no-nonsense cleaning chemicals that get the job done with a minimum of fuss. This will help you focus on getting the most out of your caravan! 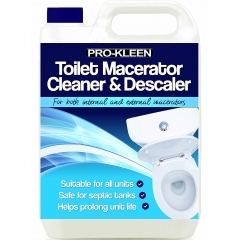 Pro-Kleen’s toilet cleaning fluid and macerator descaler will help you do just that. 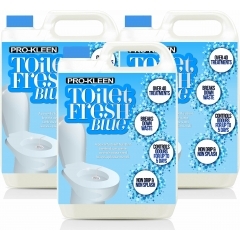 They’re super-strong, ultra-effective cleaning chemicals that freshen up your caravan toilet and keep it functioning effectively. 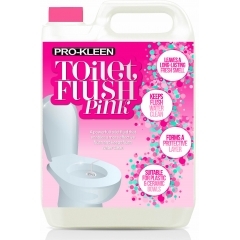 It’s not something you’ll enjoy thinking about often, but nothing can ruin a caravan trip quite as badly as a broken toilet system. 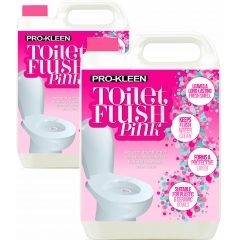 Take that stress off your mind with Pro-Kleen’s caravan cleaning range! 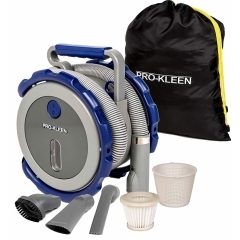 Keep your caravan interior looking spotless with this handy portable vacuum cleaner. 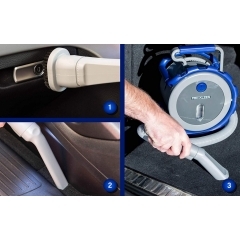 Perfect for use in the car or the caravan, this vacuum is ideal for manoeuvring into tight nooks and crannies in your caravan interior. Vacuuming up bits of dirt and food crumbs helps prevent mould, mildew, and musty odours from building up inside your caravan, meaning your caravan will still feel fresh even after a long spell in storage. Small and portable, this handheld vacuum cleaner is perfect for keeping in your caravan to keep clean and tidy while on a trip.